I like theory, but I know not everyone feels this way. Undergraduate students, in particular, expect theory to be dry or difficult even if they’ve never actually encountered it. In order to ease students into theoretical practice, I’ve relied on active learning strategies to teach postcolonial theory in a first-year Canadian History course. Through a number of iterations of teaching Canada: Confederation to Present, I completely reorganized the course to focus on colonialism as a central theme. One of my course outcomes is for students to be able to identify the effects of colonialism in Canada and recognize how colonial assumptions impact society. I assess this outcome at various points during the course through primary source analysis and with the inclusion of an essay question on the final exam that requires them to describe aspects of the colonial “civilizing” process using examples from the course. I provide them with four different possible essay questions and ask them to respond to two. The last time I taught this course almost every student elected to write an essay about Canadian colonial legacy in the mid-19th and 20th centuries. For most of the students, this course is the first time they’re required to consider the long-lasting effects of colonialism or engage with postcolonial theory. I also found that many of them really didn’t understand the mechanisms of racism and weren’t able to identify why something might be racist. I decided to devote a class early in the semester to focus on critical race theory and postcolonial theory, and then I reinforced these concepts throughout the course. There’s a general misconception that in the first year we need to teach students in a way that relies on the first two levels of Benjamin Bloom’s cognitive learning domains, remember and understand, both of which depend on an ability to recall information rather than apply knowledge. Typically this approach to using Bloom’s theory perpetuates the idea that foundational learning in introductory survey courses is primarily achieved through passive reception of information and assessed using methods that rely on memorization. Sometimes our classes provide many opportunities for students to remember or understand but ignore the possibility for application or creation. When you consider how theory is learned or understood, the need to use it becomes even more apparent. The ability to recall or provide a definition of a theory is very different than attempting to apply it. So, how do you teach postcolonial theory to first-year undergraduate students? By making it accessible. We know that prior knowledge affects learning, that prior knowledge can both help and hinder learning, and that students require opportunities to apply what they learn. I reflected on these principles to try and make postcolonial theory accessible and applicable. I’ve accomplished this through the use of the popular 1941 children’s classic Curious George. 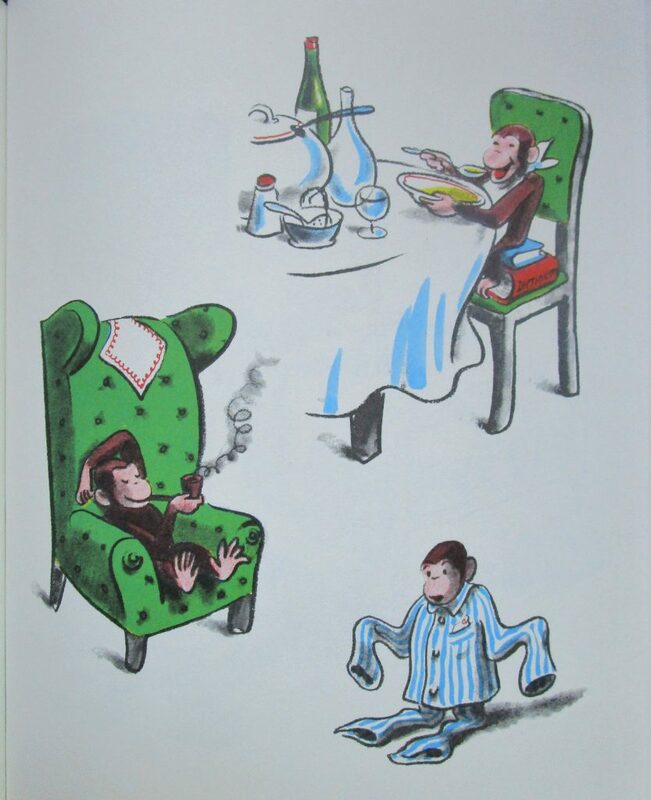 I read Curious George to the students and ask them, in groups, to create a general reflection on the role of the man in the yellow hat, how George is portrayed, and the events that occur to land George in the zoo. By working in groups, students who are already familiar with Curious George can support any student who might not have previously encountered this book. Then I introduce them to Franz Fanon, Edward Said, and Homi Bhabha and, drawing on the group reflections, facilitate a discussion about the plot and characters in Curious George. Homi Bhabha’s theories of mimicry, hybridity, ambivalence, and fixity, as conveyed in The Location of Culture, are the focus of the next activity. Students are introduced to these concepts, and each group is given theory cards that include the concept on one side and a brief definition of it on the other side. Next I show them images from Curious George. As the students view each illustration I ask them to choose one of Bhabha’s concepts that could be applied to it and develop a rationale for why that aspect of his theory would be appropriate. After considering each image, the groups are required to account for their application of Bhabha’s theories. The goal of this activity isn’t for students to formulate a “correct” answer. Instead, I want them to become familiar with postcolonial theory, think contextually about how theory is applied, and recognize that these concepts are largely interconnected. This activity prepares students for the final part of the class, when I ask them to replicate the theory exercise with colonial advertisements that depict colonizers and colonized peoples (instead of the familiar characters from Curious George). Even though this is often the first time students have the opportunity to apply theory, the activity seems to resonate because it asks them to reconsider their assumptions about prior knowledge. They’re genuinely engaged in the process and it tends to make an impression, in part because many of the students immediately connect with Curious George. However, the activity isn’t just relatable. It also demands that they apply their knowledge in both contextual and flexible ways. Ambrose et al. demonstrate that when students can combine concrete experience within specific circumstances and abstract knowledge that spans contexts they’re more successful at transferring learning to other situations. Within the activity, I facilitate the transfer of theoretical knowledge and revisit it throughout the course. This class doesn’t produce students who have an in-depth comprehension of postcolonial theory, but that’s not the intent. Instead, it allows students to explore theoretical application, and exposes how colonial expectations are systemic by analyzing a seemingly innocuous genre, the children’s picture book. The class provides initial exposure and application with the hope that it can be reiterated throughout the course, and in other courses that form their curriculum. If nothing else, a number of students have commented that they’ll never look at Curious George the same way again. Susan Joudrey is the Senior Educational Developer, Curriculum in Dalhousie University’s Centre for Learning and Teaching, and a part-time academic at Saint Mary’s University and Mount Saint Vincent University. She’s a historian and educational consultant who facilitates transformative learning. I have to thank my former graduate supervisor, James Opp, who allowed me the space to try a much less formed and refined version of this activity with a group of third year students a number of years ago.